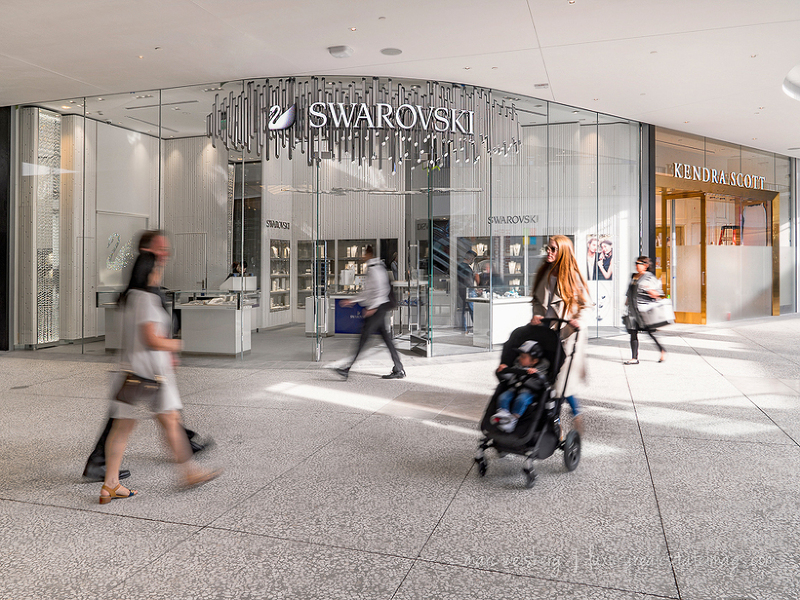 Commissioned by Westfield to photograph a new opening phase at Westfield Century City, Los Angeles. 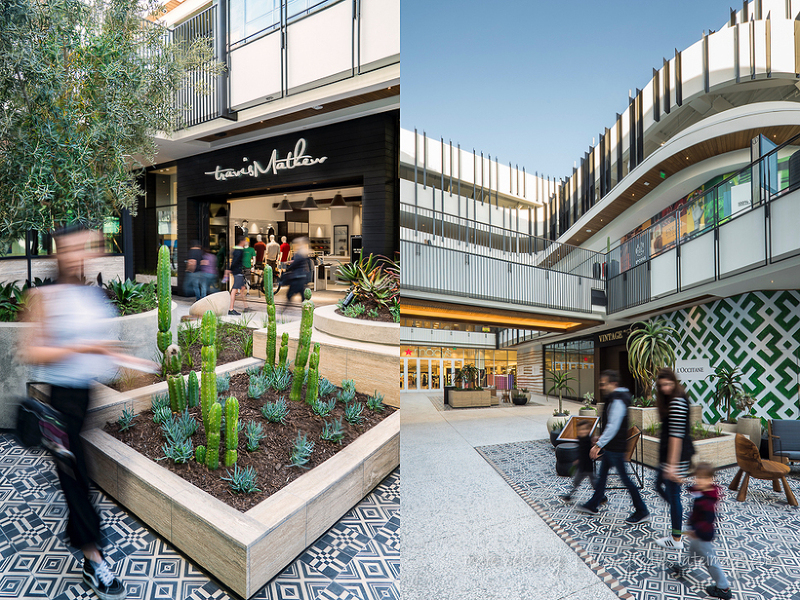 AD requested images that showcase the design of Century City with emphasis on architecture, flagship retails shops and open-air, multi-level, architectural design. People moving through the architectural space are shoppers not models. Low shutter speeds were used to create a feeling of motion and to protect privacy. Careful compositing is employed to layer each scene with Angeleno shoppers. All images are created with natural daylight. Captured on a Sony a7sii with a 24-70mm f/2.8 G Master lens. The twilight image below [created with a Canon 17mm f/3.5 Tilt Shift lens,] was requested to showcase the four vitrines facing Santa Monica Boulevard. Upon completion in Fall 2017, Westfield Century City will emerge as a more than 1.3 million square foot destination encompassing over 200 shops and restaurants, including a new three-level Nordstrom, a completely-remodeled three-level Bloomingdale’s, a modern new two-level Macy’s, and a luxurious Equinox fitness club and spa, as well as the West Coast’s first Eataly. 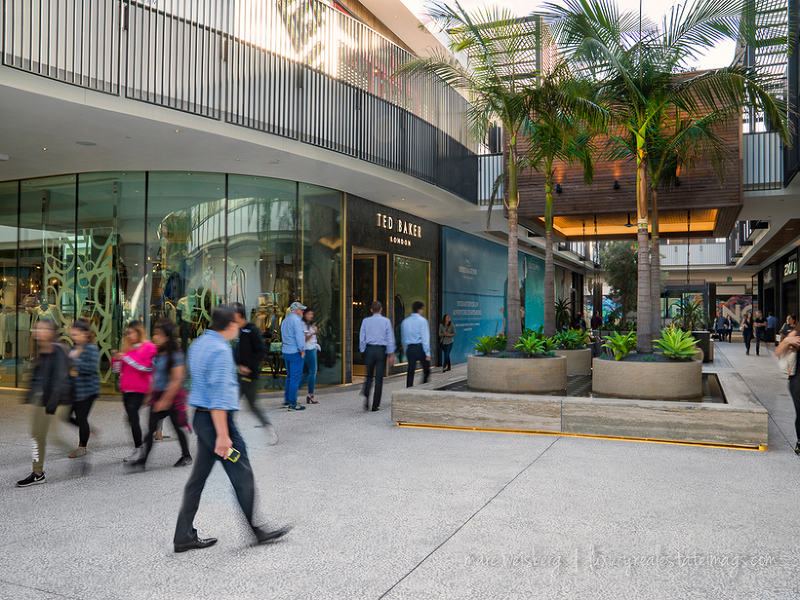 Century City will become the landmark retail destination for the west side of Los Angeles, servicing a population of 14.5 million residents within the extended four-county trade area. Century City is located near Beverly Hills, one of the highest income neighborhoods on LA’s west side. Within three miles of Century City is 60 million sq/ft of office space which includes 38,000 businesses and about 400,000 employees.